I had the opportunity today to talk to the grade eight class about self esteem. Here is part of the handout I created. When I did the first session I had a student hold a mason jar of water to show that our problems get heavier over time if we don’t deal with them. 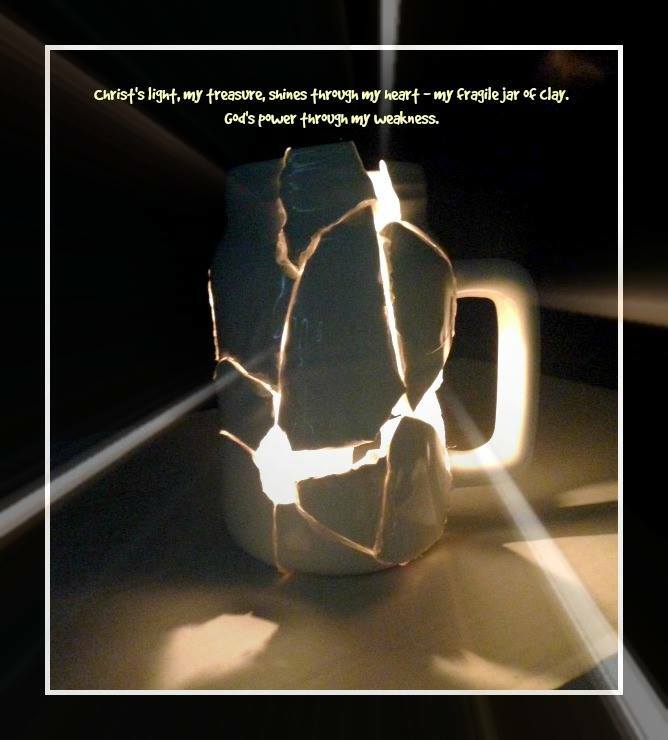 I also broke a ceramic jar and had a student glue it back together to show the cracks in our lives and how light can shine through. Today while I talked I had a student assemble a ‘Vision Board’ for the class. It was a lot of concepts to throw at the students in a short amount of time and I was so passionate I was hoarse afterwards! Hopefully the students will find some concepts to help them through emotional struggles. I tried to stress that integrity is the values and standards we find most important and then sticking to those standards. Our worth and self esteem does not have to be measured by culture’s standards but by the standards we have set by our values. Posted in Behaviour, Classroom, Uncategorized and tagged conflict resolution, integrity, self esteem, teen mental health, vulnerability. Bookmark the permalink.